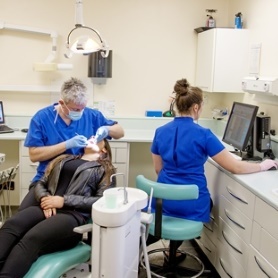 We work very hard at Crown Cottage to ensure that we spread this ‘target’ across the whole financial year as once the UDA target is reached, the funding has run out and we are unable to offer any further NHS dentistry until the next financial year. The balance between high demand and managing the quota of UDAs for each month inevitably leads to delays in getting an appointment. These delays vary from month to month and between dentists. This is why it is essential that you give us a least 48 hours notice if you wish to cancel an appointment. If you fail to attend two consecutive appointments or you don’t give us enough notice when cancelling you will not continue to be seen at the surgery. Your place will be allocated to someone else. If you do not want to wait until the next available NHS appointment then you can be seen privately or you can sign up to our DPAS care plan. 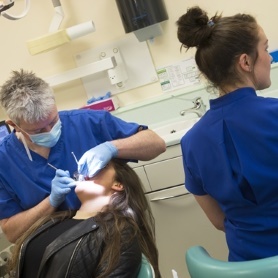 If you require any treatment on the NHS you will be given a treatment plan outlining costs. Please speak to Reception if you require information on current NHS patient charges.